Megan Atwood, a recent addition to the Rowan faculty, published a book in a continuing series this past December. Atwood, who started as a writing arts assistant professor in the fall, published “Once Upon A Winter,” another novel in her “Orchard Novel” series. The series addresses the theme of an old orchard and community. 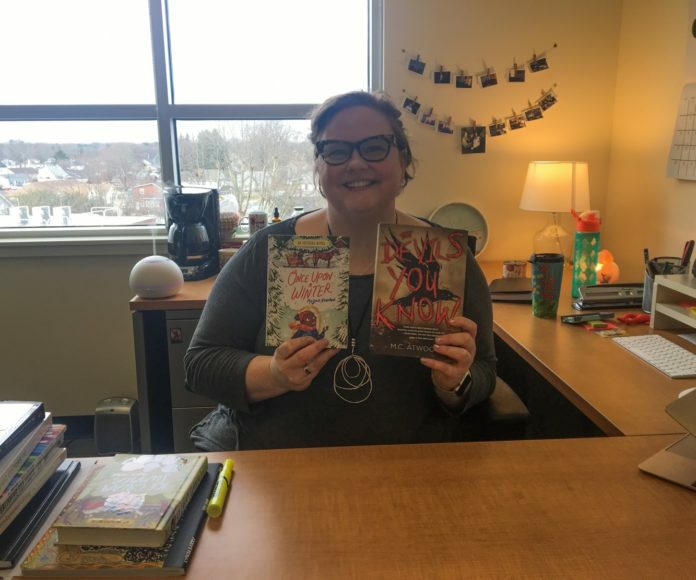 “When I’m writing these [books] I’m thinking of community a lot and it turns out that I really like a group of people coming together and helping each other,” she said. Atwood also elaborated on the plots, explaining that because they are books written for young adults and intermediate aged students, they discuss a theme of someone not necessarily fitting in. “It’s about a kid who feels kind of out of place,” Atwood said. She also explained that “Once Upon A Winter” is a quieter book in which the main character gets talked over a lot until finally finding his own voice. Atwood has been revered by other faculty at Rowan. Atwood explained that she has known since she was a little girl that she wanted to be a writer. She studied at the University of Iowa. She later became convinced that she was not a good writer, so she became an editor instead. Atwood returned to writing when she realized her favorite part of the process was working with manuscripts, earning her a multi-factor authentication. “I just fell in love with what it takes to put together a novel,” Atwood said. When describing the process of creating a novel, Atwood called it an emotional roller coaster. Part of this emotional rollercoaster is taking the time to market a new novel before it is published. Atwood also added that the whole process to put together a book takes years. “You want to give a book enough time to get marketed because if it doesn’t sell, then you’re kind of in a pickle as an author,” she said. Atwood will be working with students in the Master of Arts in Writing program, advising on projects ranging from memoirs to novels. Block also explained why he feels Atwood is a good fit to help graduate students. “[Atwood] will be talking to us about the entire writing process, from composition to macro- and micro-editing through publication. As a creative writer who has years of professional experience in publishing, she has a unique, 360-degree perspective,” he said. Atwood suggests that inspiring writers read whatever they want to write, daydream a lot and to let themselves write a terrible first draft. She also emphasized that editors are not picking books that will do well in today’s market, they are picking books that will do well in two years. Atwood also reiterated that she does not feel that there is such a thing as a bad writer, but it is just a learning process and a craft to be practiced.